If you follow me on Snapchat, it’s likely you’ve seen this smoothie bowl a couple of times in the last few weeks. And by “a couple of times,” I really mean like… Once a week. Maybe even twice a week. There have been times I ate it and didn’t snap it, so… You can imagine how many times I’ve made this smoothie bowl since I first whipped it up. 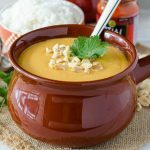 Can we talk about food trends real quick? Two years ago, everything was a smoothie. Last year, the internet was taken over by no-churn ice cream (and thank goodness for that, RIGHT?). This year, it has got to be smoothie bowls. They’re everywhere. And I mean everywhere. Just type “smoothie bowl” into Pinterest, and you’re likely to be overwhelmed by a bazillion different ways to get a smoothie into a bowl and then into your belly in no time flat. Seriously, whomever it was who decided that smoothies needed to make a comeback and then did a little reprise and dumped their smoothie into a bowl and then decorated it so nicely with lovely bits of fruit, nuts, and seeds… Can we be besties?! You’re my new fav person. I do love food trends. I think it’s so fun when a certain something makes people’s minds start racing with creative ways to change it up. It keeps the recipe world interesting, and you’re always able to find just what you’re looking for. It’s so great! 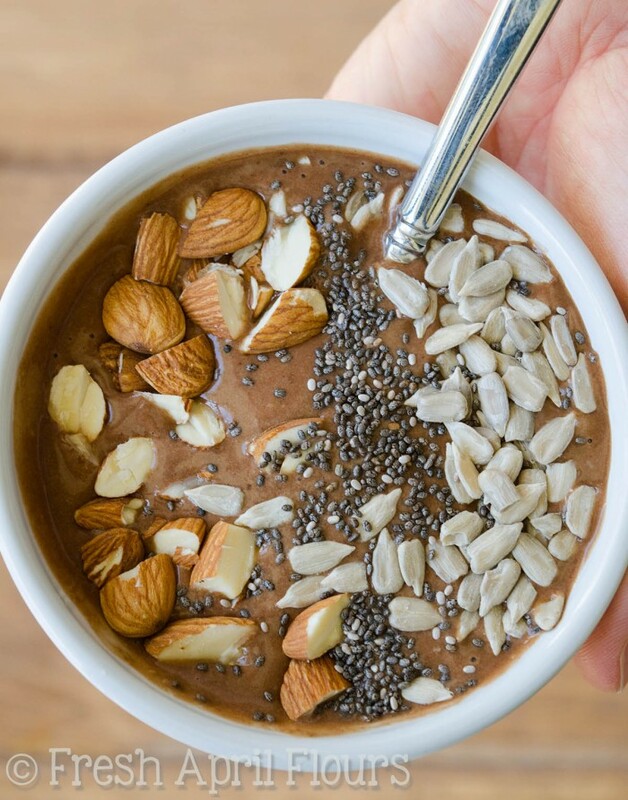 I dove right into the smoothie bowl world with a little chocolate + peanut butter. I mean, talk about perfection. Most smoothie bowls are green based, which is perfectly fine, but I wanted to do something a little different and cater to one of the best flavor combos to ever exist. Plus, if I can eat some chocolate and peanut butter together and call it healthy, I am all about it. Tell me you agree! 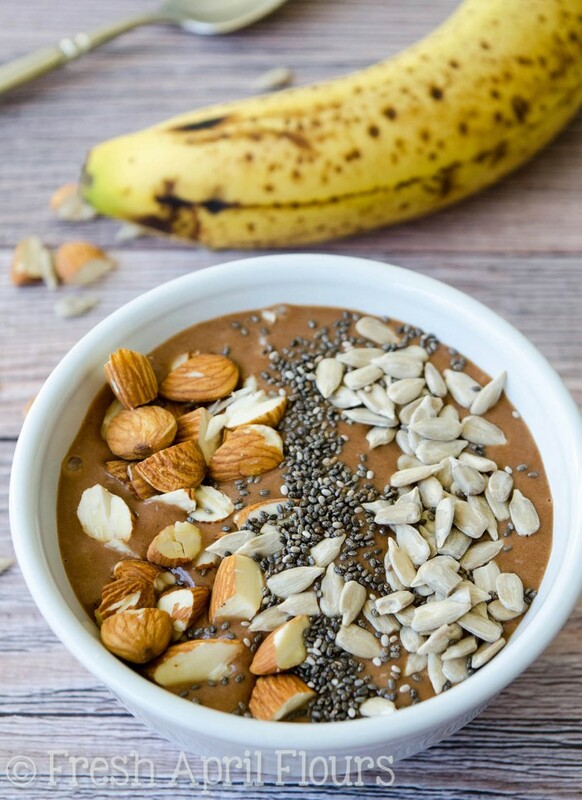 This chocolate peanut butter smoothie bowl could not be easier to put together, but it does require a little planning ahead. We always always always have frozen bananas in our freezer. Except for right now, because I used literally all of them for the 8 or so that I have eaten over the last few weeks. Mental note: restock ASAP because chocolate peanut butter smoothie bowls are life. 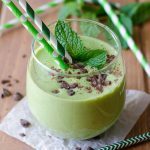 We used a frozen banana as the base for our skinny Shamrock Shake last year, and if you’re really into smoothies, you’ll know this is really pretty standard when it comes to a nice thick smoothie base. 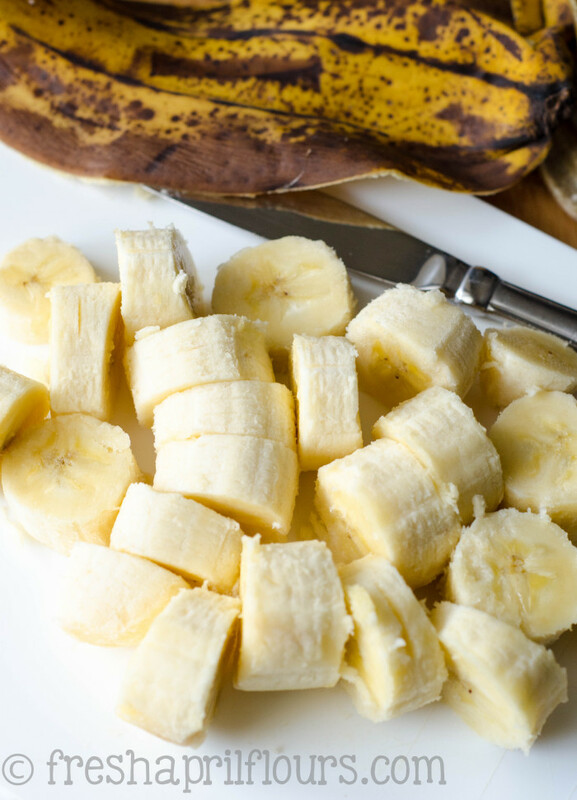 To stock up on frozen bananas: peel some ripe bananas, toss them into a zip-top bag, and then into the freezer they go. You can pre-slice them if you want, but it’s not entirely necessary. Along with your frozen banana, you’ll add some milk (I prefer unsweetened almond milk in mine), some natural peanut butter, a little unsweetened cocoa powder, some agave/honey/maple syrup, and a touch of vanilla. If you’re using sweetened almond milk, you might want to omit the liquid sweetener. Or maybe you want to omit the sweetener right off the bat! You decide. Smoothie bowl recipes are not written in stone. Everything goes in a strong blender (we love our Nutri Ninja! ), then right into a bowl. One last key step: top with all kind of goodies! 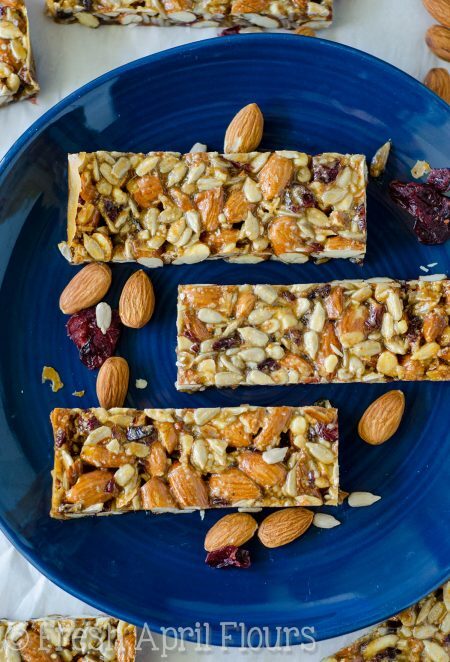 I have been loving the chopped almonds, unsalted sunflower seeds, and chia seeds combo, but you can use really whatever it is you have on hand or what sounds good to you. You really can’t go wrong here with your toppings. At all. 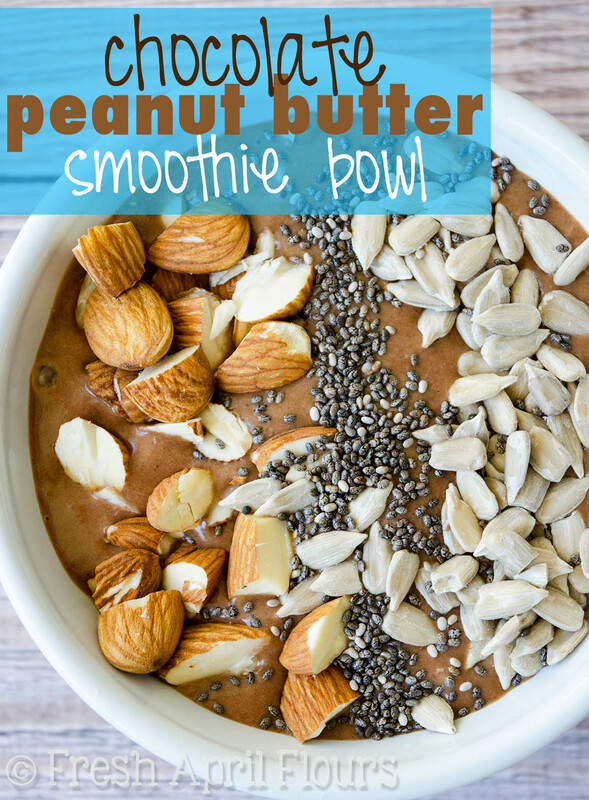 To show you just how easy it is to put this chocolate peanut butter smoothie bowl together, I made you a video! Cant view the video? Click here to view it on YouTube. Honestly guys, every time I eat one of these smoothie bowls, I feel like I’m eating ice cream. I really do. And if you’re a texture lover like me, you’ll adore all the little bits of crunchy mixed in with that smooth, creamy, chocolate peanut butter loveliness. So so so(oooooo) good. 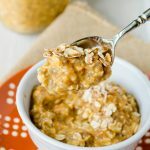 One spoonful of this tasty little treat and you’ll understand why I’ve made it so many times lately. And make sure you SNAP it. Because we have to keep this smoothie bowl trend going. It may be my new favorite thing! 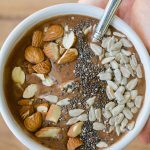 Thick and creamy smoothie bowl that makes you feel like you're eating a bowl of chocolate ice cream! Add any of your favorite toppings. 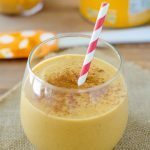 Place all ingredients except toppings in a blender (this is the one we have and love). Blend until smooth. 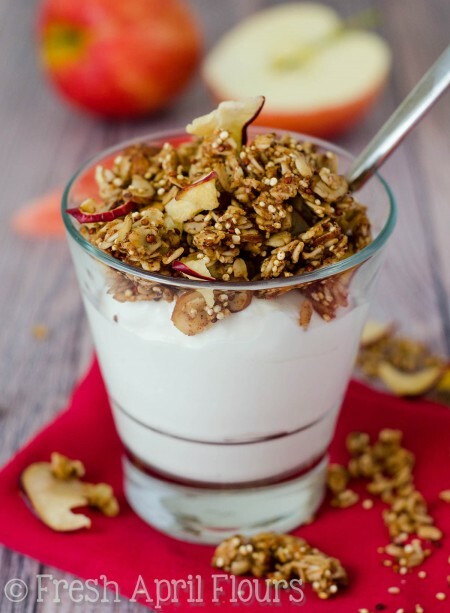 Pour blended smoothie into a bowl and garnish with desired toppings. Smoothie bowl is best served immediately, but leftovers can be kept covered in the refrigerator up to 8 hours. 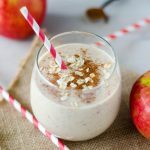 *Using a frozen banana brings a thick texture to this smoothie bowl. If you don't have any pre-frozen bananas, use a fresh one and add 2-3 ice cubes to your blender. **If using sweetened milk/non-dairy milk, you may want to omit sweetener completely. ***You may also use honey or pure maple syrup. Oh you TOTALLY need to try a smoothie bowl, Aria! They are SO good. We also love smoothies– they’re an everyday occurrence here! 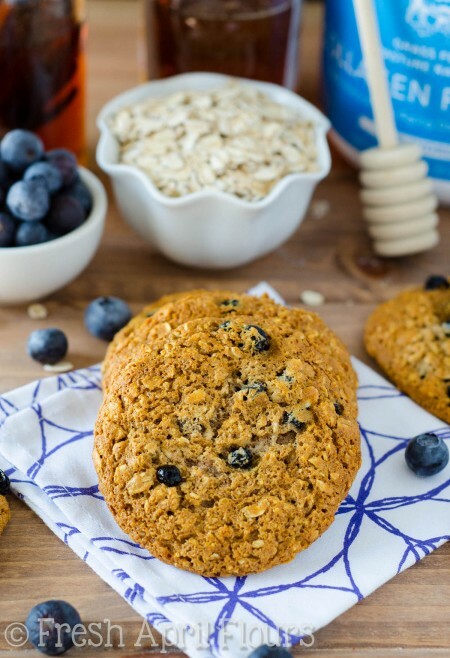 But throw that baby in a bowl and toss some goodies on top and you’ve got a whole new treat! This is so cool! I’ve never had a smoothie bowl before! I love love love your video! Thanks, Jess! You have to try one! They’re SO good! 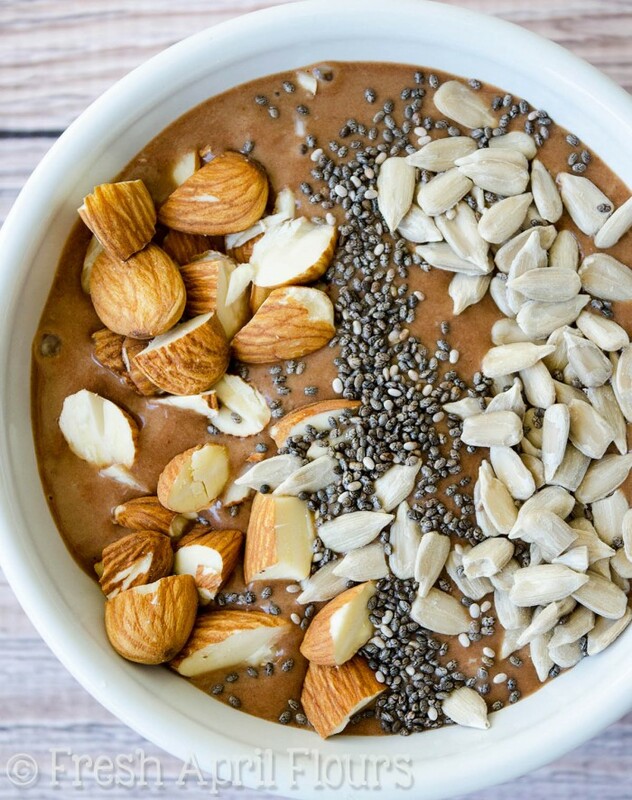 Firstly – this smoothie bowl is LIFE! And I can’t wait to try it after my long run on Sunday. I’m sure the last few miles will be faster because I’ll be running home to eat this! Secondly – AWESOME video again Matt! You two are a team to be reckoned with! I’ll be sure to Snap/Tweet/’Gram this baby on Sunday morning! YOU MUST! 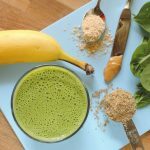 Although a bad blender might make things difficult… You need to find a good one ASAP and start up with the smoothie bowls! They’re SO GOOD! Right?! You just need to try this, Megan!